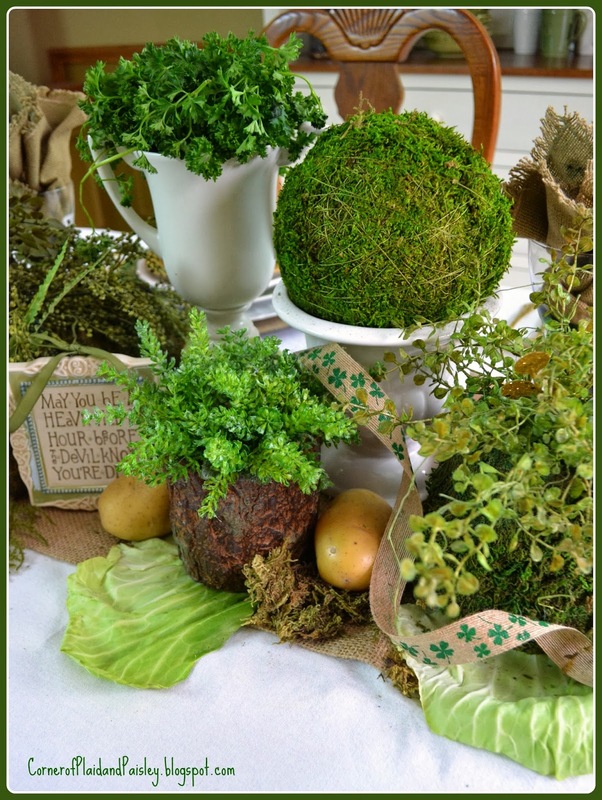 St. Patrick's Day -B'gosh and Begorrah! 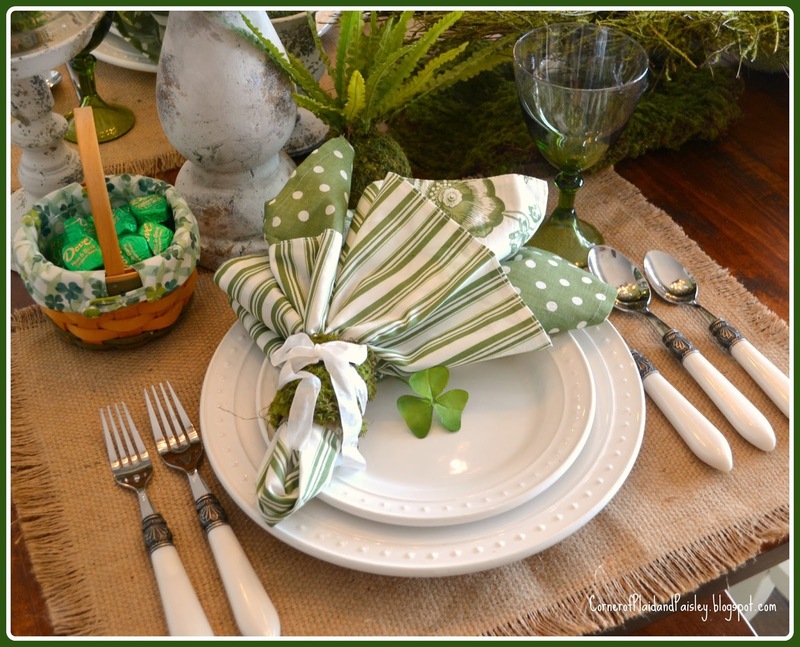 it's Shamrocks! B'gosh and Begorrah! We are among the shamrocks at our table. not because we are Irish, because we aren't! But, we celebrate anyway because it is my birthday!! I've added some shamrock's - which means young clover - I figured if I called them shamrock's I might feel just as young! And who is that hiding among the shamrocks? That bunny is making an early appearance. I hope you have some fun celebrating St. Patrick's Day. Hi Ann, such a great table for your birthday and St. Patrick's Day. 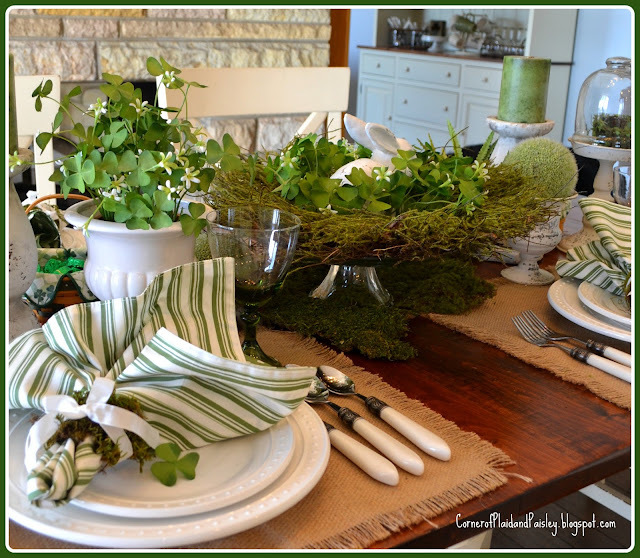 I love the green touches for the table. 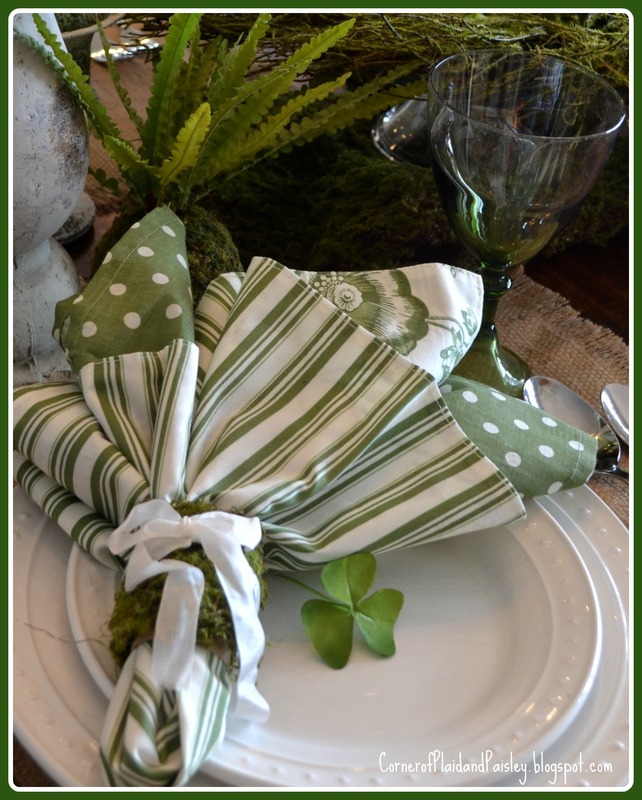 The napkins really add pop to your table and white pots with shamrocks are the perfect touch. Hope your birthday was the best. 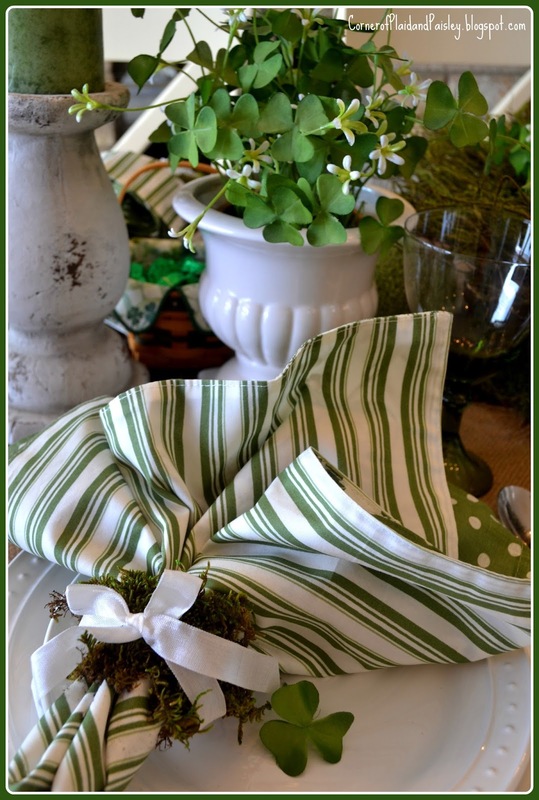 What a gorgeous green and white tablescape to celebrate both your birthday and St. Patrick's Day. 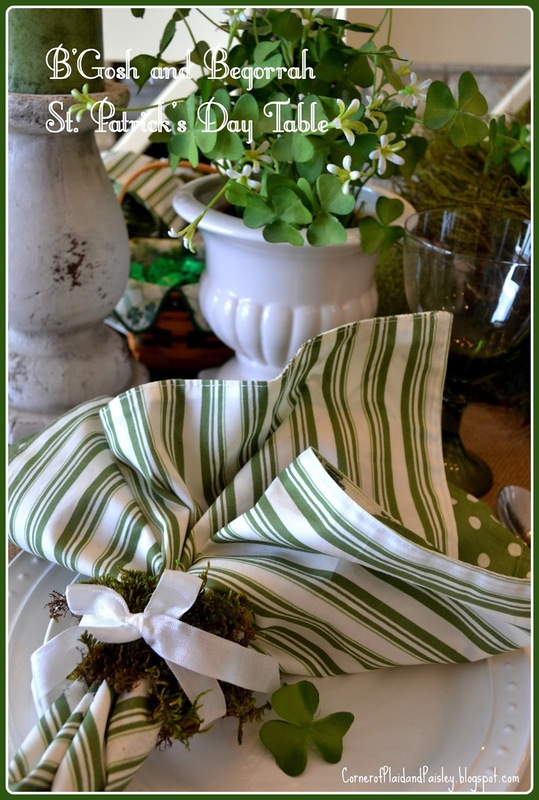 Your mix of floral, stripes and polka dots is perfect! Happy Early Birthday wishes and St. Paddy's Day! This table is so cute Ann and Happy Birthday! Kind of a fun day to be born since there are so many people celebrating St. Patrick's Day! Enjoy your day! Happy Birthday Ann! It's my granddaughter's birthday too, 4 today, and she insisted on having something green to wear for her very special day! 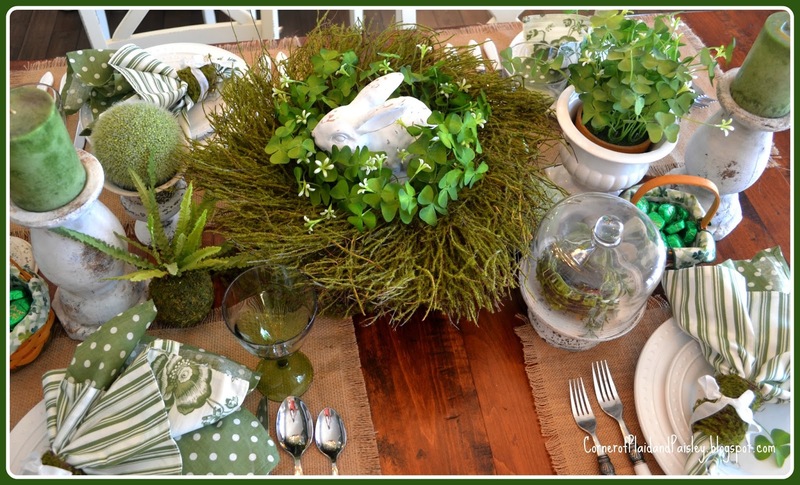 Your table is adorable, I LOVE the bunny nesting in shamrocks! Your birthday on St. Patrick's Day is a great excuse for celebration! 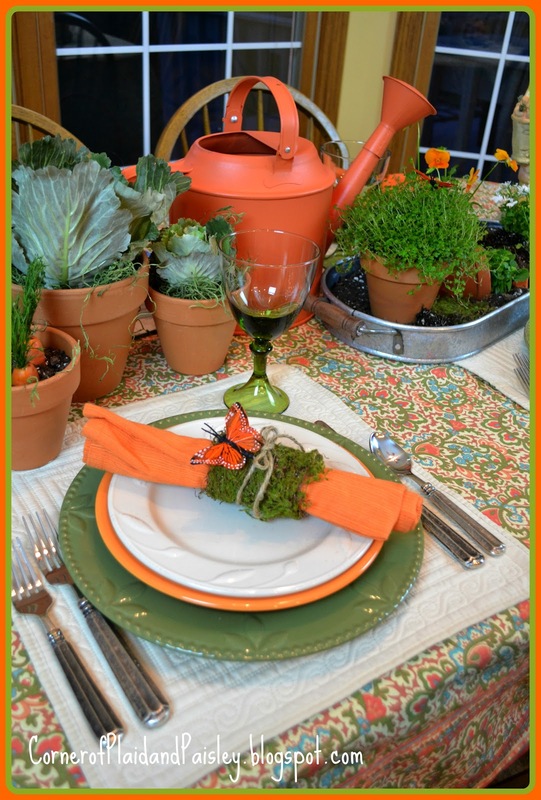 I can imagine that's just what will happen around your green perfect table. 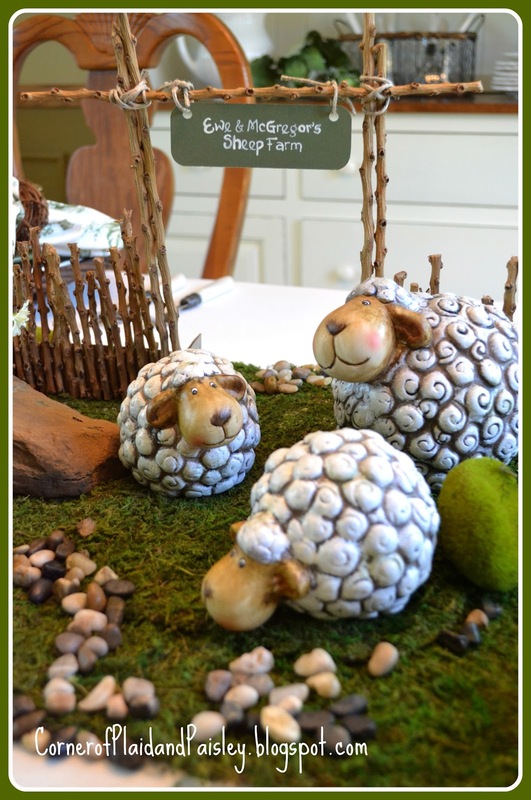 Each detail is wonderful. Ann, what a beautiful table! Happy birthday and I hope your celebration was fabulous!